JioPhone was first introduced in July 2017 with a monthly tariff plan starts from ₹49. Initially, the user had to recharge the JioPhone with any of the three monthly tariff plans – ₹49, ₹99 and ₹153. All these plans provide validity of 1-month with a monthly data limit of 1GB, 14GB, and 42GB respectively. 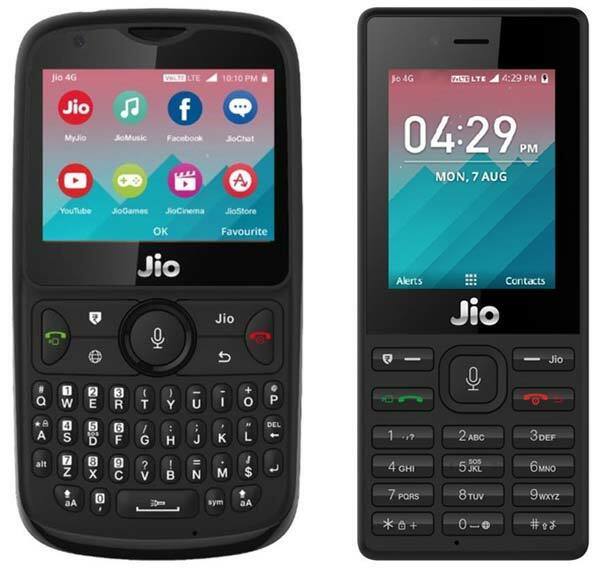 Now, Reliance Jio has launched two new long validity plans for JioPhone users priced at ₹297 and ₹594. The ₹297 tariff plan comes with a validity of 84 days and includes unlimited voice calls, 300 SMSes and 500MB 4G high-speed data per day for 84 days. This plans also includes complimentary access to Jio applications. After the daily 500MB limit speed will reduce to 64kbps. The ₹594 tariff plan comes with a validity of 168 days and users will get daily 500MB high-speed 4G data, Unlimited voice calls, 300 SMSes and also complimentary access to Jio applications. Same as the ₹297 Plan user can use unlimited data thought the validity but the speed will reduce to 64kbps after the daily 500mb limit. Please make a note that, the plans mentioned above are only for JioPhone and will work only if SIM is in JioPhone. These plans are applicable for both JioPhone and JioPhone 2 users.